Classic old time music from one of Kentucky's last true living traditional banjo players. 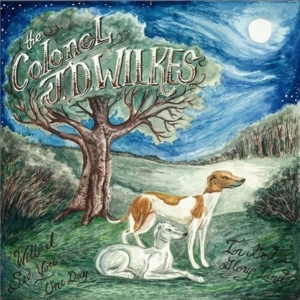 Col JD Wilkes brings you a pure real honest testimony in 14 tracks....recorded live and simple, in high fidelity in Muscle Shoals Alabama, a banjo, a harmonica, and a wailing voice. Having founded both The Dirt Daubers and the Legendary Shack Shakers, as well as writing a few books, representing Kentucky's folk art community and contributing to some filmwork, Wilkes is very much a man of all seasons of the neo-gothic rural south.